Home Lifestyle INTERFAITH MARRIAGE; WILL YOU EMBARK ON IT? 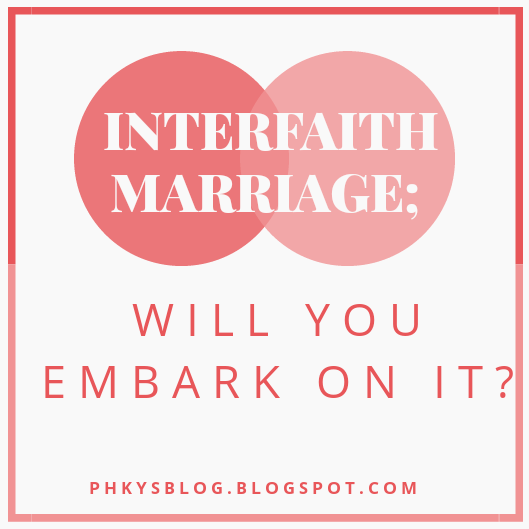 INTERFAITH MARRIAGE; WILL YOU EMBARK ON IT? Hi guys! How have you been? My week has been hella loaded and I'm so in for the weekend. I feel it already. I was at a wedding last saturday (first wedding i'll attend this year) and then i realised that the couples are of different faith. I need to do a quick survey and I'm sure I can count on you my revered reader to throw more light into this topic. As a Christian can you marry an open minded Muslim who is everything you want in a life partner but their religion? As a Muslim, can you marry an open minded Christian who is everything you want in a life partner but their religion? Asides the fact that your parents, friends and relatives may kick against such decision, whats your own personal stand?? I would say one can find love anywhere but to me personally, I will not, why? because it's very important you marry someone you share same belief with you. The thing is we keep saying love this and that, it's after you both are married, stayed alone you'll realize this.You either belong to his religion,or you stay back at home...am I correct? What about your kids? Ah! They must join their father till they come of age to determine the religion of their choice. Open mindedness will do everyone a world of good in almost all of life endeavors. In marriage though I personally mind the faith of my spouse. First and I think most importantly is the issue of authority, to whose final authority do we both agree to succumb to in issues we differ on? I'm sure there's answer that her faith will embrace without question that will not sit well with me and my faith; one to say the least. Then as you have rightly mentioned, the upbringing of the children can only satisfy one of the parent. If two have become one, we should both be happy with how God has helped us raised the children. Lastly is the question of the afterlife, no two faith shares the same believe of the afterlife. If that be the case, I personally don't think I will like my children and wife to head in one direction and I head in another. In fact, even within a faith there are different beliefs and emphasis is laid on certain"spiritual truth" that another within same faith considers less severe or even unimportant. The hassle is too cumbersome for any that wants a simple family. Nice one victor,clearly you won't embark on interfaith marriage. Your reasons are valid. Thank you for your consistent contributions on almost each post. Keep checking back for more. I can't! I can't mainly because of my belief as to what marriage ought to consist of. I believe it takes two to tangle and due to this in a way there will be sometimes we get to argue on same and trust me lots of argument is quite unhealthy for marriage. Belief is key and of utmost importance, little wonder religious leaders all over the world frowns heavily against getting married to a person who doesn't believe in that which you believe. 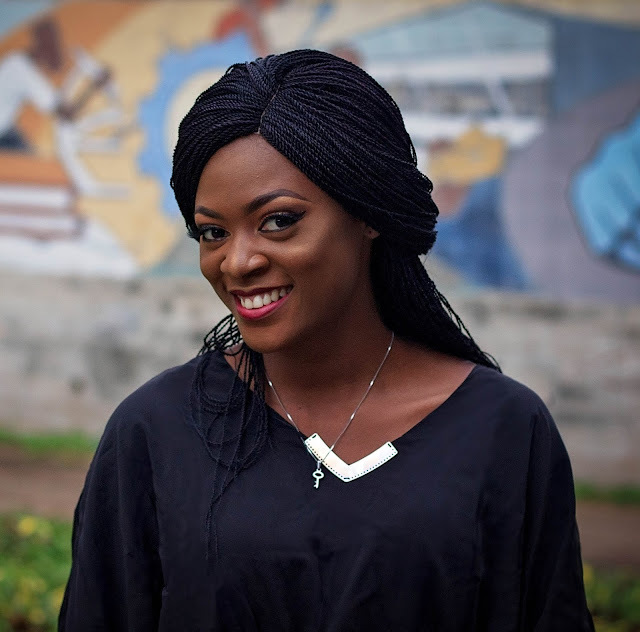 We have myriads of churches and islamic settings who solely have their stance of not getting married to a person who doesn't share same belief with them-- Jehovah Witnesses don't, deeper life and even Muslims esp. The Maliki School of thought among others. We should not actually forget at this point that there are enormous demerits to this; ranging from confusion on the part of the children, engagement in arguments between spouse and if this is not maintained can easily lead to divorce, unhealthy relationship between the spouse and his/her in law etc like that sha. On the other hand though, I'll love to say it actually depends on the spouse, I.e how open are they. For example, I have an Aunty who got married to a Muslim. Her husband attends her church, sometimes though; also she follows him to his family house and uses hijab on visit and their marriage is over 12 years now and trust me its a great one. So it depends on the level of tolerance they give to each other. This also has some merits-- as little they could be-- 1. It gives the children the freedom to choose which of the religions to practice. To me, this eliminates cohesion. 2. It tends to build tolerance. Due to the foregoing actually, I personally do not subscribe to getting married to a person who doesn't share same belief with me.